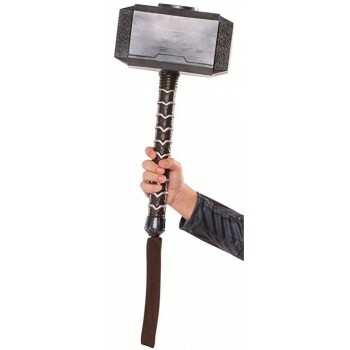 The perfect accessory to your Thor costume. After all, without his hammer Thor would be just another weirdly dressed blonde guy, right? Plastic hammer with a metalic look with strap attached to handle. This item is approximately 45cm from the top of the hammer to the end of the handle. The hammer itself is approximately 13x13x25cm.